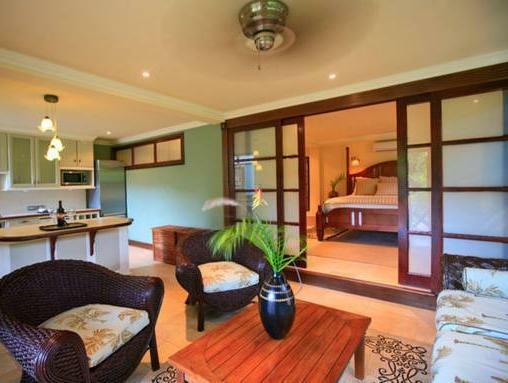 ﻿ Best Price on Villa C'est La Vie in Rodney Bay + Reviews! Villa C’est La Vie features rustic architecture, an extensive garden, sun terrace and swimming pool. It is located 5 minutes’ walk from Windjammer Beach and 10 minutes’ drive from Rodney Bay Village. The apartments and cottages offer wooden décor, balconies with garden views, air conditioning, living area and a private bathroom. The kitchen is equipped with stove, dining area and fridge. Guests can find restaurants offering international food both options within 10 minutes’ drive. 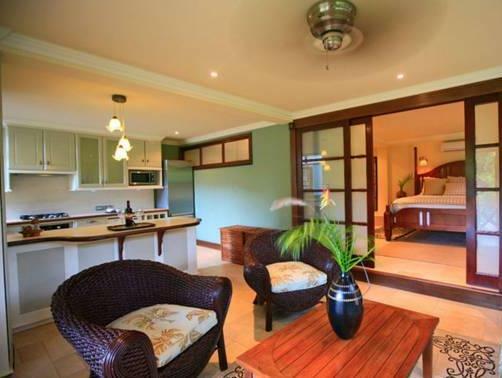 This property is 20 minutes’ drive from Pigeon Island National Park and 1 hour’s drive from Hewanorra International Airport. A 25% advance deposit is required on confirmation of all bookings. A 25% penalty applies to bookings canceled up to 28 days prior to arrival. For cancelations within 28 days, the full amount is payable. For guests departing prior to their departure date, C’est la Vie reserves the right to charge an early departure fee equal to three nights of accommodations. Please inform Villa C'est La Vie of your expected arrival time in advance. You can use the Special Requests box when booking, or contact the property directly using the contact details in your confirmation.